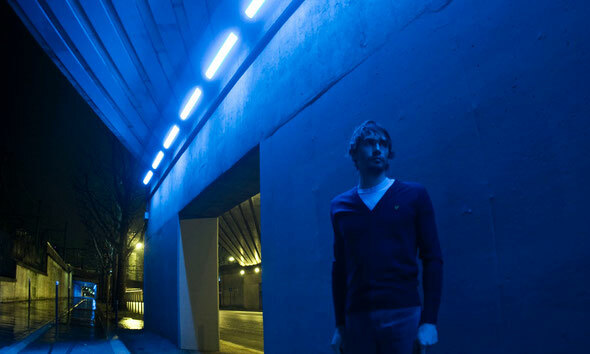 French stalwart Chris Carrier delivers four tracks of house on the ʻThrashinʼ EP for Londonʼs Act Natural this April. 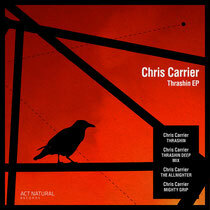 Bass Culture, Robsoul, Freak N Chic and Hudd Traxx are just a handful of the labels Carrier has graced over the years and title track, ʻThrashinʼ, is built around a chunky rolling drum groove and trippy resonant synth line. Sonically the track carries a lot of weight with a busy structure yet each element remains neatly tucked away within its frequency range - a testament to the Parisian producers knowledge and experience. The Deep Mix of ʻThrashinʼ is exactly that, a venture into the lighter end of the spectrum. Making the original a little less raw and focused on soft tones, subtle use of delay and dreamy pads. ʻAll Nighterʼsteams in full throttle from the beginning with a saw wave bassline pulsing alongside a natural kick drum as the driving force. An airy atmospheric background builds the track to the key point where an arpeggaited synth takes control. ʻMighty Gripʼ begins with an ever-evolving drum pattern, raw heavily reverberated claps and snares creep in sporadically giving the track a natural swing. The use of a classic 808 cowbell and acid bassline much like in ʻAll Nighterʼ gives the track a raw, ‘90s feel.